Credit: Eric Brinkhorst Fotografie B.V. 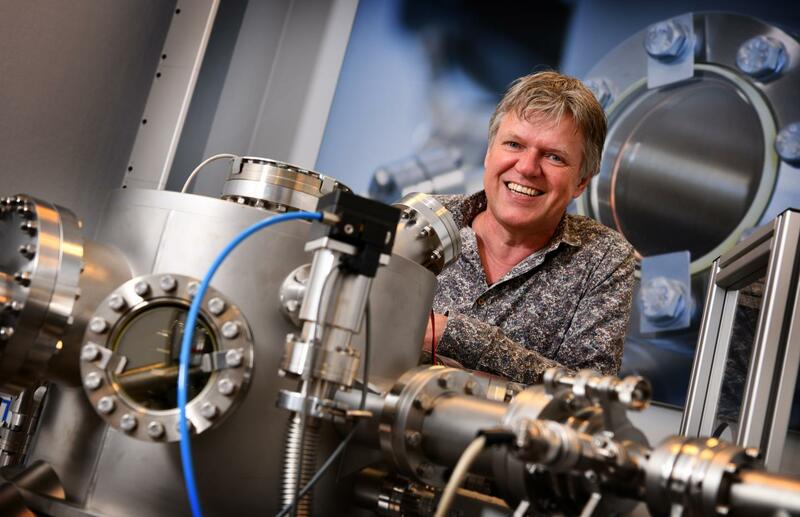 The 2018 Julius Springer Prize for Applied Physics will be awarded to Guus Rijnders of the University of Twente in the Netherlands for his research on pulsed laser deposition (PLD). The award, which includes a prize of US$5,000, will be presented at the Magnus-Haus in Berlin, Germany on 5 October 2018, and will be accompanied by a public lecture given by the winner. The Julius Springer Prize for Applied Physics recognizes researchers who have made an outstanding and innovative contribution to the field of applied physics. It has been awarded annually since 1998 by the editors-in-chief of the Springer journals Applied Physics A – Materials Science & Processing and Applied Physics B – Lasers and Optics. Winners in previous years have included Roland Wiesendanger, Xiang Zhang and Viktor Malka. Rijnders said: "I am very pleased to accept this prize and feel honored to join the former recipients, who are all respected and excellent researchers. I see this prize as a recognition for our scientific and innovative contributions to the field of atomic controlled oxide thin film growth with pulsed laser deposition. I thank all my co-workers for their contributions."